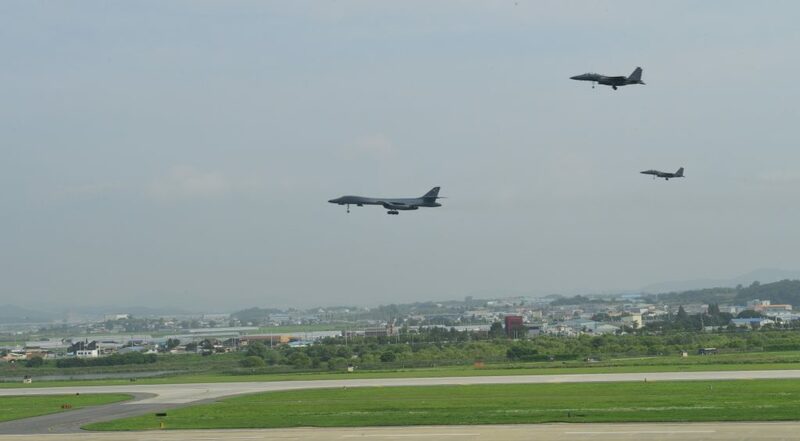 The United States Air Force's Pacific Command flew two B-1B Lancers from Andersen AFB in Guam to the Korean peninsula on July 30, 2017. 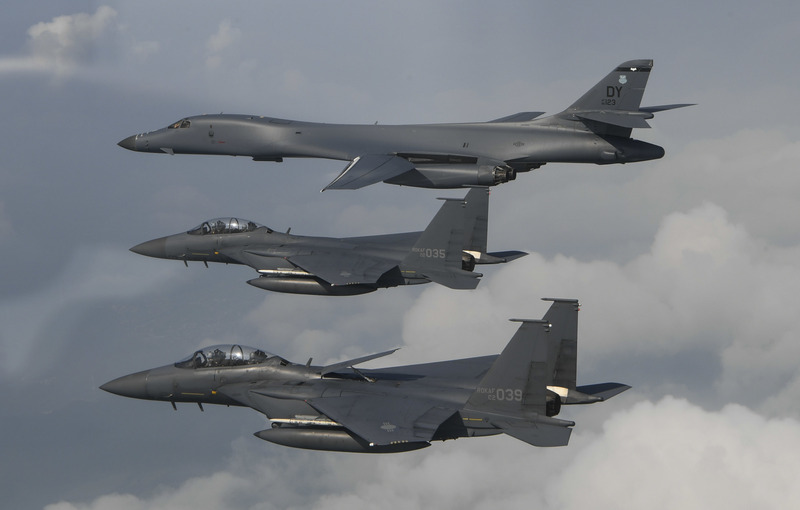 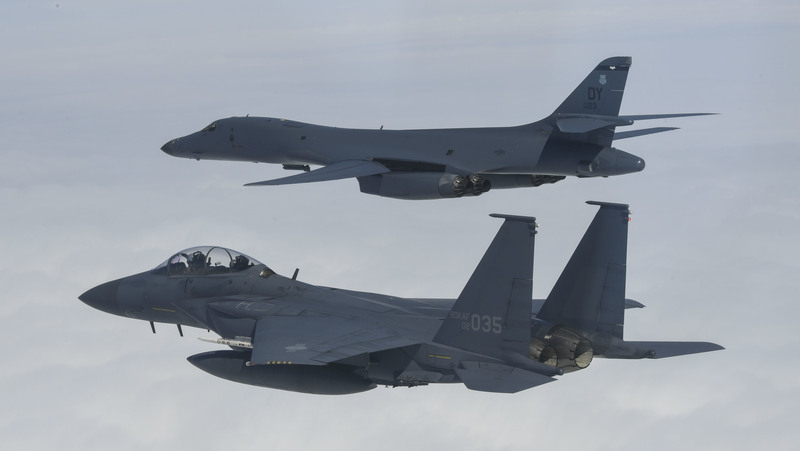 During the ten hour mission the aircraft flew with Japanese Air Self Defence Force F-2 fighters over Japan before being joined by Republic of Korea F-15s over South Korea. 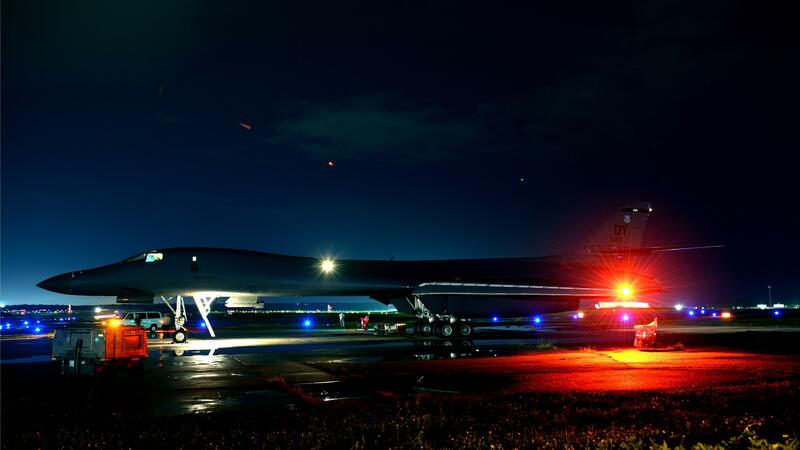 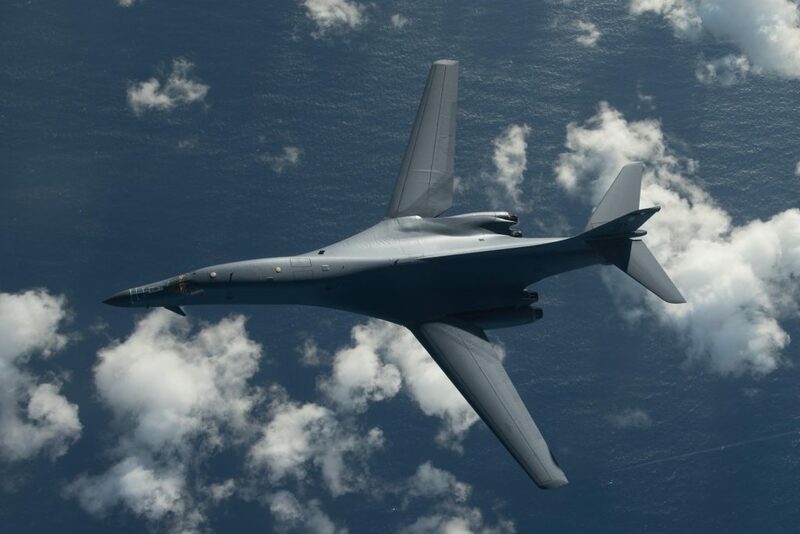 The B-1Bs also flew a low pass over Osan Air Base in South Korea. 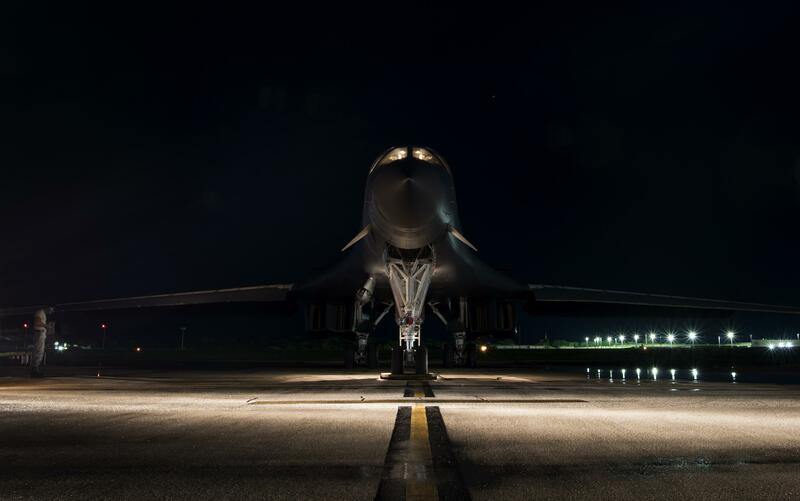 The mission was a response to North Korea's test flights of intercontinental ballistic missiles in July. 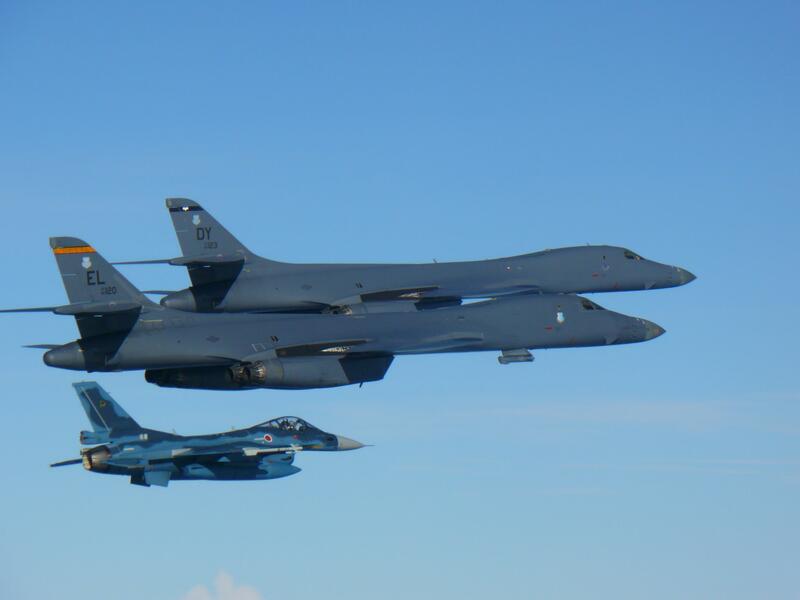 "North Korea remains the most urgent threat to regional stability," said Gen. Terrence J. O'Shaughnessy, Pacific Air Forces commander. 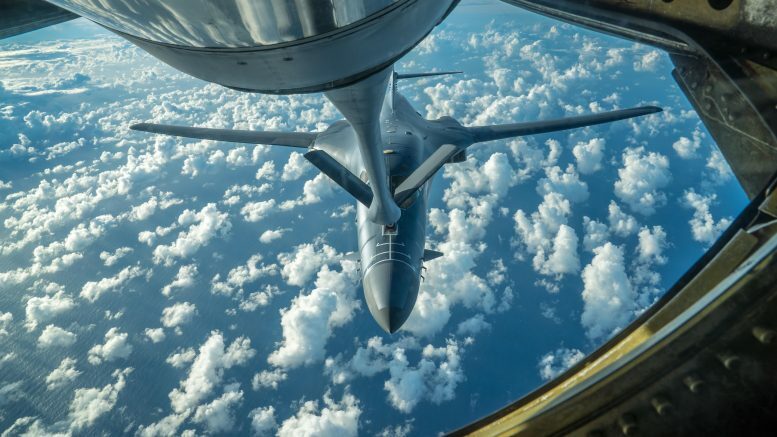 "Diplomacy remains the lead; however, we have a responsibility to our allies and our nation to showcase our unwavering commitment while planning for the worst-case scenario. If called upon, we are ready to respond with rapid, lethal, and overwhelming force at a time and place of our choosing."